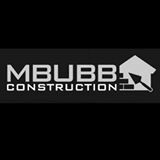 M Bubb Construction - Builder, Driveways/Patios/Paths, Plasterer based in Epsom, Surrey. At M Bubb Construction, we pride ourselves on the high quality of our work and the friendliness and integrity of our team. We specialise in all types of brickwork, internal and exterior plastering as well as providing a full general building service. Whether you are looking for a multi storey extension or simply require a retaining wall, M Bubb Construction are able to deliver to the highest standards, at reasonable and competitive prices. Through our partner company we are able to provide you with a start to finish product, including planning consultancy & application; architectural design; change of use and high quality CGI rendering. M Bubb Construction – a company run with the ethics of a friendly local business, while delivering a range of high quality professional building services, demanded by our domestic and commercial clients.